Sun Salutation is probably the most popular Yoga sequence and how I usually start my day. Surya Namaskar or Sun Salutation consists of 12 yoga poses and is best to be practiced in the morning in order to wake up the body and greet the sun. The sequence can be also done any time during the day (at least 2 hrs after eating) in order to calm or rejuvenate the body & mind. 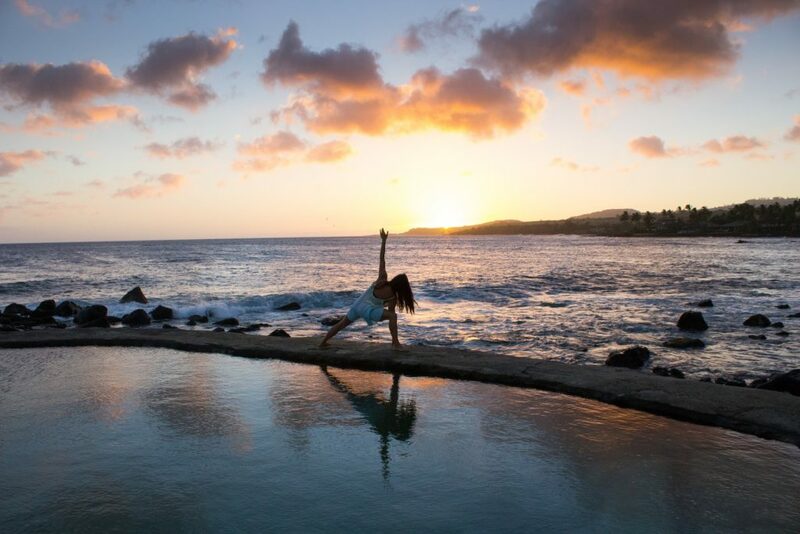 Sun Salutations can be practiced by anybody and anywhere – all you need is a mat or a towel, a little space and the willingness to spend 15 to 30 minutes. It is a gratifying experience to do the exercise outdoors listening to the gentle hum of the waves or chirping of birds as you breathe in the fresh morning air and feel the soft rays of sun on you skin. Making a practice of starting the day with yoga when travelling ensures that you get you workout in for the day, no matter where you are in the world. 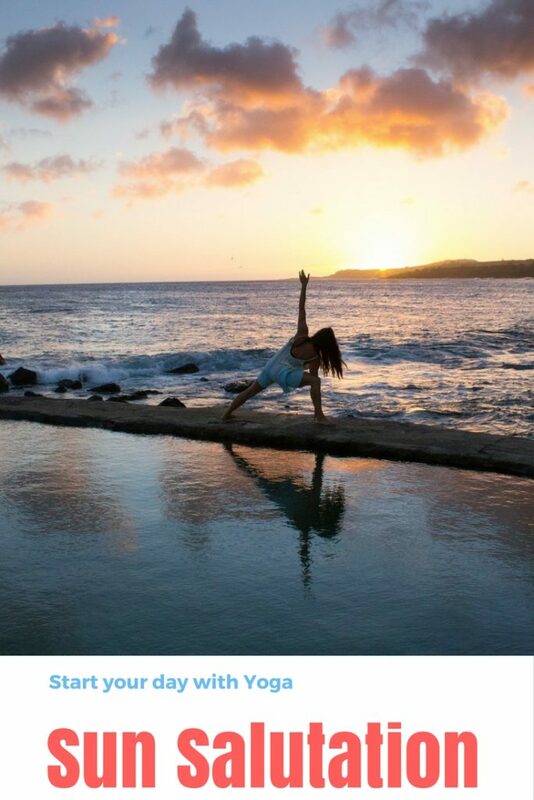 1.3 Get started on your practice with the Free 30 days of Yoga from Yoga International! As you move through the Yoga poses, follow your breath carefully. The transition from one yoga posture to another is facilitated by the breath. Inhale as you extend or stretch, and exhale as you fold or contract. Always slow down or stop if you are straining, breathing too hard, or if your breath is shallow. Breathe through your nose (and not the mouth). The nose filters the air and warms it up. Since the sequence is a “salutation” to the sun, try to be as aware during the movements as possible, with your mind focusing on your breath. It is best to start your practice with one or two rounds, eventually building up to more (some people perform 10-15 daily). In traditional practices in India, 108 rounds were done. Each round consists of two cycles, one begins with the right foot backwards into the launch and the other one with the left. Make sure you always include both of the sides, in order to keep the body & mind balanced. 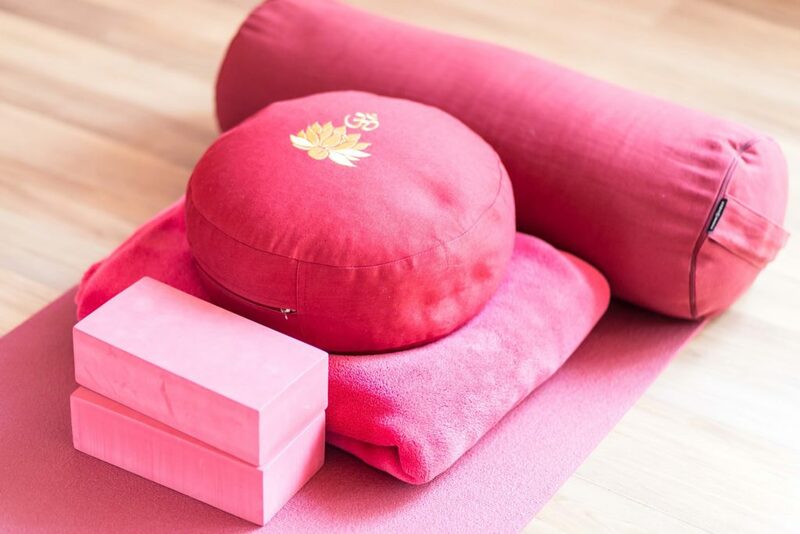 Get started on your practice with the Free 30 days of Yoga from Yoga International! Surya Namaskar or Sun Salutation consists of 12 yoga poses and is best to be practiced in the morning in order to wake up the body and greet the sun. THIS IS MY BEST YOGA EXERCISE.